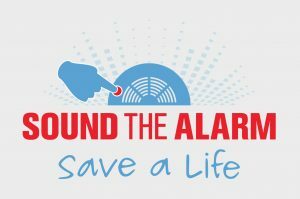 The Fox Lake Fire Protection District has teamed up with American Red Cross to start a smoke detector installation program for residents within the district. The College of Lake County Foundation announced that Joe Sweeney recently was named as major gifts officer. Sweeney, who began his tenure on Jan. 7, has more than 30 years of experience in development and fundraising. Most recently, he served as regional director of the USA Midwest Province of the Society of Jesus (Jesuits). Prior to that, Sweeney worked for his alma mater, Saint Mary’s University of Minnesota, as senior development director and as vice president for development. During his time at Saint Mary’s, the university opened its state-of-the-art Science Learning Center, and Sweeney also helped initiate and grow the First Generation Initiative (FGI) endowment, which ensures dollars to support first-generation students at Saint Mary’s. Sweeney’s experience also includes nearly 12 years as vice president for development at Loyola Academy, in Wilmette. In addition, he spent seven years as director of development at Carmel Catholic High School, in Mundelein, and six years as executive director of Cincinnati-based Boys Hope Girls Hope. For more information, call 847-543-2000 or visit www.clcillinois.edu. The Faith Committee of the Lake County Domestic Violence Council will host a Lunch and Learn event from 11:30 a.m. to 1 p.m. Feb. 28 in the Bradbury Room at the Waukegan Public Library, 128 N. County St. The program is open to anyone involved in an institution of faith — leaders and lay members alike. Areas of focus will include child abuse, teen dating violence, domestic violence, elder abuse and sexual abuse/sexual assault. The Faith Committee’s mission is to empower faith communities to intervene and act when family violence is encountered, and the mission is achieved through monthly meetings that involve networking and resource sharing, along with presentations on the committee’s focus issues. These efforts complement the Domestic Violence Council, which is chaired by Lake County State’s Attorney Daniel G. Nerheim. Admission to the Lunch and Learn event is free. A light lunch is included. To register, visit www.faithcommitteelunchandlearn.eventbrite.com. For more information, call Sandra Bankston at 847-377-3184 or visit www.lakecountyil.gov. Forestry and Grounds Manager Tom Milas, an employee of the Buffalo Grove Public Works Department, recently received the 2019 Professional Manager of the Year Award from the Lake Branch of the Chicago Metro Chapter of the American Public Works Association (APWA). In addition, the village was honored with the APWA’s Management Innovation Award for Efficient Service Delivery. Milas was recognized for inspiring excellence, and for providing leadership and dedication to the public good in the areas of facilities and/or grounds maintenance. Included among Milas’ major accomplishments considered for award designation were his successful management of the Buffalo Grove Emerald Ash Borer project; the improvement of general maintenance procedures and programs within the Public Works Department; and for creating ecologically responsible alternatives to traditional landscape plans. The village was recognized for creative and/or innovative ideas that improve the delivery of public services. Tools utilized by the village that were considered for award designation include the digitization of daily vehicle checks (eliminating the need for paper); using interns instead of a consulting firm to inspect storm structures; and posting benchmark and construction project information to a publicly viewable map through geographic information systems (GIS). For more information, call 847-459-2500 or visit www.vbg.org. The village announced that the Island Lake Fun Bowl, a fireworks/events fundraiser, will be held from 1-4 p.m. Feb. 24 at 3D Bowl, 4018 Roberts Road. The event includes three games of bowling and shoe rental, and a lunch buffet, silent auction and 50/50 raffle. The cost is $20 (adults), $15 (ages 11-18), $5 (ages 10 and under) and $10 (non-bowlers). All proceeds will go toward the 2019 summer fireworks. Advance sign-up is recommended. For more information, send an email to kelli.anderson@voislk.com — or visit www.villageofislandlake.com. The Wheeling Park District announced that Cheri Klumpp, a Park District Board Commissioner since 1993, recently was honored by the Illinois Association of Park Districts with the Board Member Service Award. Klumpp received the award in recognition of her 25 years of dedication to the Wheeling community. Improvements and upgrades that have occurred during her tenure include the opening of both the Family Aquatic Center and the Community Recreation Center (CRC); renovations at Traditions Golf Course and Chevy Chase Country Club; the redevelopment of Heritage Park; and the CRC Renovation & Expansion Project, which is on track for completion in 2019. For more information, call 847-465-3333 or visit www.wheelingparkdistrict.com. The Fox Lake Fire Protection District has teamed up with American Red Cross to start a smoke detector installation program for residents within the district. 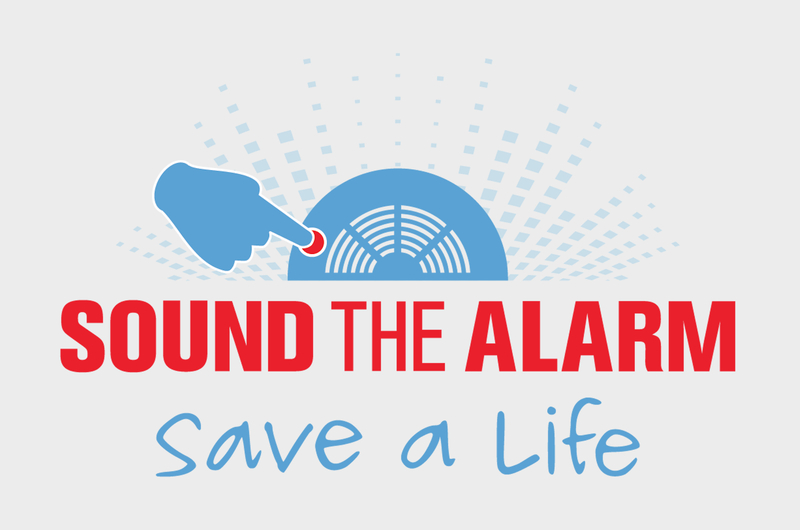 Upon request, the FLFPD will visit residents’ homes to install brand-new smoke detectors free of charge. The smoke detectors are battery-operated. The FLFPD serves approximately 33,000 people residing in an area of 30 square miles in Lake and McHenry counties and surrounding communities. For more information, call FLFPD Station #2, 306 Washington St., Ingleside, at 847-587-3312 or visit www.flfpd.org.